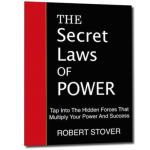 Robert Stover will help your audience Unlock their “leverage-points” – powerful levers that allow game-changers to do more with less. At the end of this keynote your audience will know how to use the power of leverage to transform their work, lives and world. Your audience will discover a proven, step-by-step method for creating powerful ideas that create powerful change and results. Modeled on the predictable process Robert discovered while interviewing INC 500 and other fast growth CEO’s. 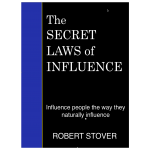 Your audience will discover a remarkably powerful way to influence others through leadership, communication, advertising and sales, by tapping into the way people naturally influence themselves when making action and buying decisions. Your audience will learn how to tap into often overlooked “power sources” and “leverage points” that successful businesses and leaders across industries use to create dramatic growth, game-change and breakthrough results. This program will open eyes to the numerous sources of leverage we have within our grasp, if only we could learn to see and seize them. Breakthrough results are possible from leadership to the frontline — with the right mindset and methods. 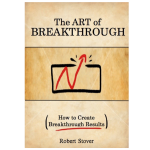 During this talk your audience will learn a proven method for predictably creating breakthrough results within their sphere of influence. No one can take a business, a department, or job performance to the next level until they first take their thinking to the next level. 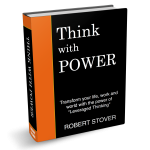 In this talk your audience will learn to use the power of leveraged thinking to create exceptional results. 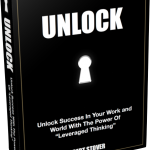 Get ready to unlock your greatest challenges and opportunities! Robert delivers dynamic presentations using humor, real-world stories and proven results. 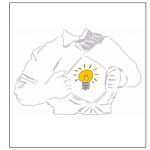 He will give your audience the mindsets and tools they need to unlock their potential, solve problems, and create breakthrough results in their lives, businesses and world. Robert’s keynotes and workshops are ideal for Entrepreneurs, Founders, Leaders and Team Members who want to take their businesses, teams and lives to the next level.